Kinderville products - so good you'll want to eat them. + GIVEAWAY! I'll admit it, when I first laid my hands on these Little Bites Bowls from Kinderville, I had a sudden urge to bite them. Maybe I've been reading too much Twilight? But the colours, the texture, the smell... all beckoning me to bite down and gnom-gnom-gnom! If I were a teething child, they would be my chew toy. This could very well be the best compliment ever - so good you'll want to eat them? The texture of Kinderville products is just one of the many things you will love. Made from silicone, they are not only BPA, phthalate and lead free, they are also bacteria resistant and dishwasher, refrigerator, freezer and microwave safe. Bonus! I don't think I own any other dish that is so versatile. Let me tell you just how excited I was to have been given the opportunity to review this product. When Gwen from Nayla Natural Care dropped off the box, it's no wonder I had an urge to eat them - the packaging alone was only one indication of just how scrumptious they were. I was just about to open the box when my 3 and a 1/2 year old ran by and snatched it from my hands. Apparently he was hungry too. Together we took them out of the box, and decided it was time for a snack. I dropped a few pretzels into the bowl and off he went. The bowls are nice and wide which helps avoid spills, and are also the perfect depth for little hands; not too deep to get lost in, and just the right size for a snack. They also work well on the highchair tray, since the silicone prevents them from sliding around too much. Mind you, they aren't too helpful in actually preventing my 13 month old from pitching her food onto the floor at lunch time! We've used them outside, and in the living room too (gasp!) Is it bad that I've also been using them for my own snacks? Why should the kids get all the fun! 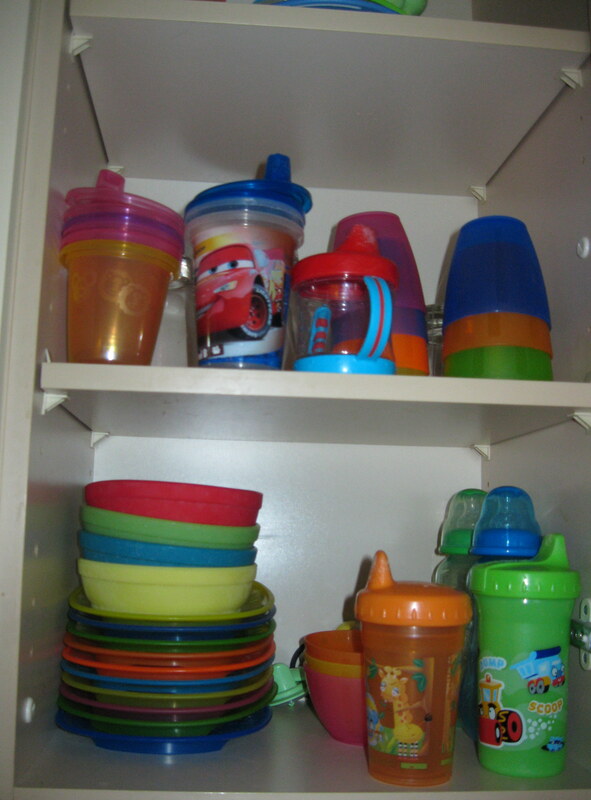 You know that cupboard in your kitchen with all the sippy cups, bottles, and kid friendly bowls? The one that things fall out of every single time you open it? Well these bowls are stackable, so you don't have to worry about the real estate you'll have to uncover to store them. And besides, you'll really want to pitch those other bowls when you get these. Kinderville also has storage jars, cups, freezer trays and popsicle molds which are all available for purchase at Nayla Natural Care, owned and managed by Gwen. This busy mom of two has put together an excellent selection of safe, non-toxic, high quality and unique products for your family in one convenient spot! She also tests and approves all the products before they make it into the store, so you know you're buying only the best, mom-approved products available! If you haven't yet discovered Nayla or the Kinderville line, you'll want to check it out. Vicky is the mom to 3.5 year old son named Joel and 1 year old daughter named Mieka. You can read her blog at blog Some Kind of Wondermom. 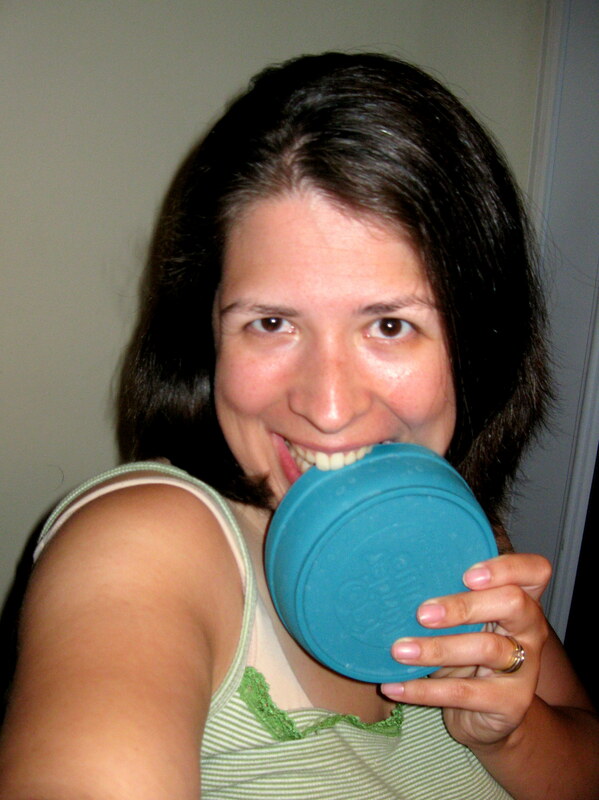 Gwen has generously given us a set of Kinderville Little Bites Bowls to give away to one of our readers. To enter visit the Nayla Natural Care site and come back and tell us what product you would most like from the shop. Please leave an extra comment for every extra thing you do. Good luck! Contest closes on Sunday August 8 at midnight.